The City of Venice has published a modification to the city traffic rules, which bans kayaks, canoes, dragon boats and others from navigating certain canals. navigazione dei natanti denominati jole, dragon boat, pattini, pedalò, canoe, kayak e tavole a vela e/o a remi. It lists a series of city canals where “navigation is prohibited” for a series of paddled and rowed types of boats. The canals in question are these, coloured red. Now, besides the Grand Canal it doesn’t look excessive. There are a few other restrictions on traffic, not specifically targeted at kayaks and the like, for military areas, heavy traffic, or dedicated areas for the gondolas. The canal network in Venice is Medieval in origin, and anything but regular. Some are very interconnected, others are detached from most others. A lot of very narrow canals lead down to some of the no-go canals, so if you went down there in a kayak, you wouldn’t be able to get out legally. Therefore, the ban is for more than just the listed canals. The de facto banned canals are added to this map in orange. Now, that’s a good deal more. If you enter one of these nominally ‘legal’ canals, you won’t be able to get out again, unless you paddled backwards through a narrow, winding and possible busy canal. The above map is made under the assumption that “navigation is prohibited” in the canals marked in red, which would mean that you can’t even paddle across. 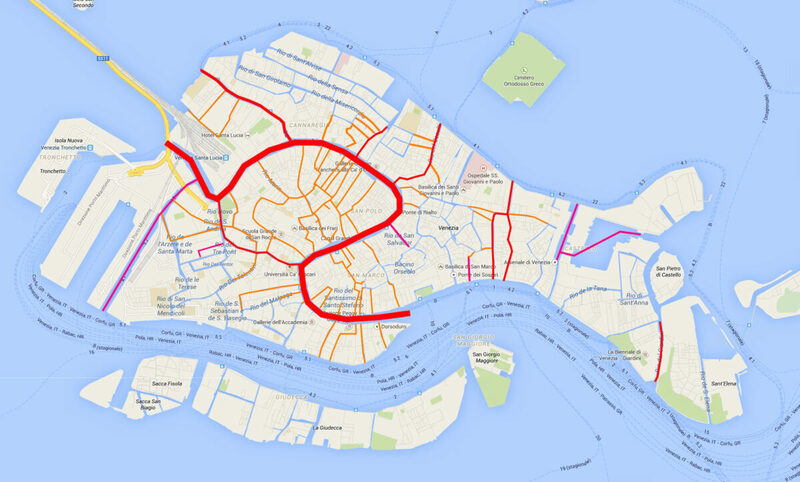 If the city were to allow crossing of some of the no-go canals in some places, the map above would have to be changed, but with the current wording of the regulation, it will not be possible to go in kayak in any of the canals on the map above, which are marked in red, violet or orange. I realise that it is hard to see from that map where you can actually go, so I have made the reverse map which shows in green the canals where you can go in a kayak and still have a legal way out. 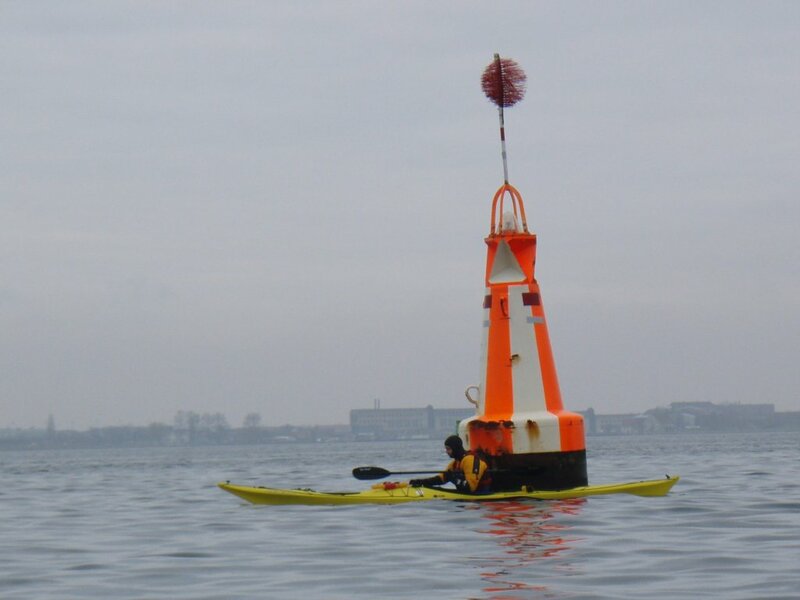 As is apparent, after the introduction of the new regulations you can only paddle in a few separate and non contiguous areas of the city. As before, this map relies on a strict interpretation of the wording of the new regulations, where we’re not allowed to traverse any of the no-go canals. There are six distinct zones, where you’ll need to get out of the city canals, potentially in some very busy waters, to get from one area to another. 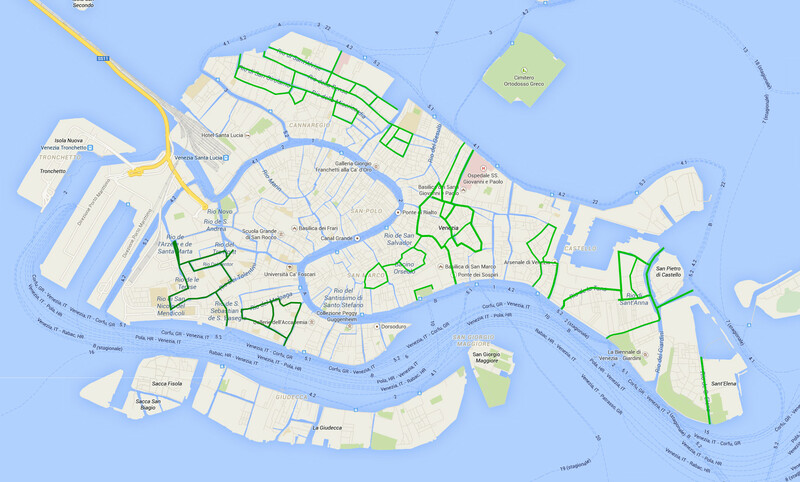 The two areas in Dorsoduro (marked in a darker green) are only accessible through the Canale Giudecca, which is where the big cruise ships pass. It is a very busy canal, and not safe for even intermediary level kayakers. 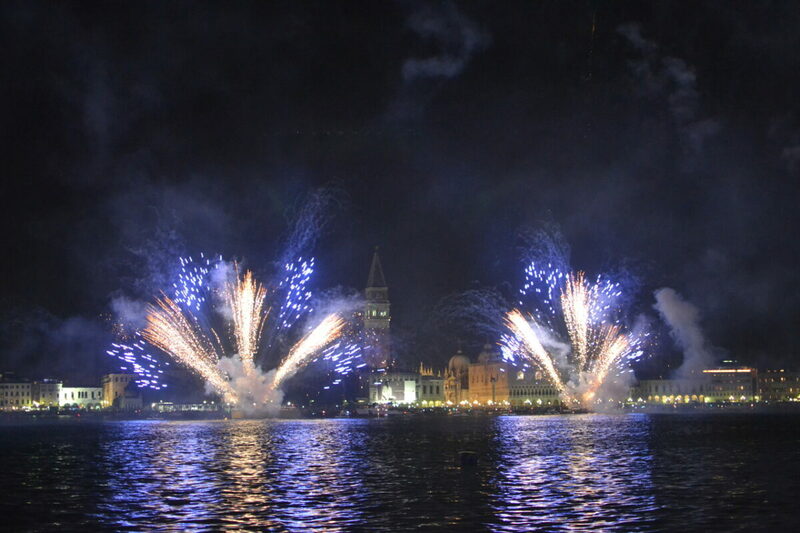 To move from the eastern part (Castello basso) to the central part around San Marco, it will be necessary to cross the Bacino San Marco, which is likewise very busy. Besides a large number of water buses and taxis, this area is also full of large tourist tour boats, which moor there for boarding and disembarking. Paddling through there will too require a good deal of skill and nerves. And let’s remember the new rules are introduced for safety reasons. To keep us and everybody else safe, they send us out in the middle of the busiest parts of the city. And not just busy, but busy with far larger boats that are ever allowed inside the city, even on the Grand Canal. Curious as to why they have decide this? Look here. Download a copy of the city regulation here. I want to go kayaking in Venice with some friends & our kayaks, only on the allowed canals. Do I need any special permissions from the Venice Comune. If I do, do you have an e-Mail address where I can correspond w/them to receive the permission? Also, I have heard there is the possibility to cross (Not travel in for any distance) the Grand Canal at certain times of the day. Is that possible? Excellent resource. Thanks for the effort. I circumnavigated Venice in 2014,2015, and 2018.In 2018,to my surprise,I was politely asked to exit the Grand Canal via a Police boat, onto a side canal,from which point I had to somewhat blindly navigate back to the northern side of the island. I encountered another kayaker who appeared to be guiding two novices, and he provided only a brief explanation of new enforcement. Only when I sought a better explanation via the internet did I discover the fuller reasoning of the new regulations. Though understandable, I feel and hope that the municipality and people of Venice will eventually recognize how the inclusion of sporting accommodation contributes to urban vitality, and continues to evolve throughout cities large and small. It is clear, however, that the unique nature of Venice and it’s intense marine activity and overwhelming tourism present significant challenges which distance sporting activity as a priority. I’m grateful for the experiences I had in Venice.